To celebrate the addition to my name of O.A.P. 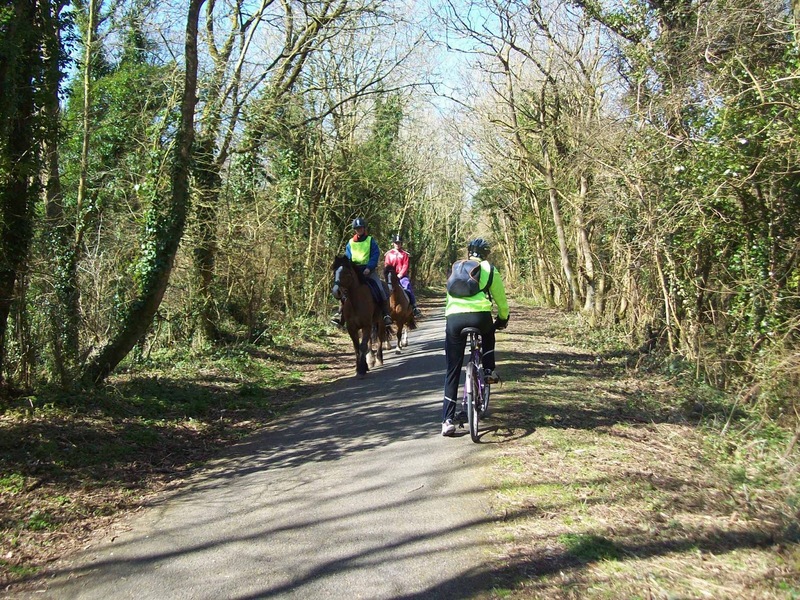 I met up with Andy who was staying in Tenby (or as his wife calls it “Paradise”) for a bike ride on the Brunel Trail, part of NCN 4. 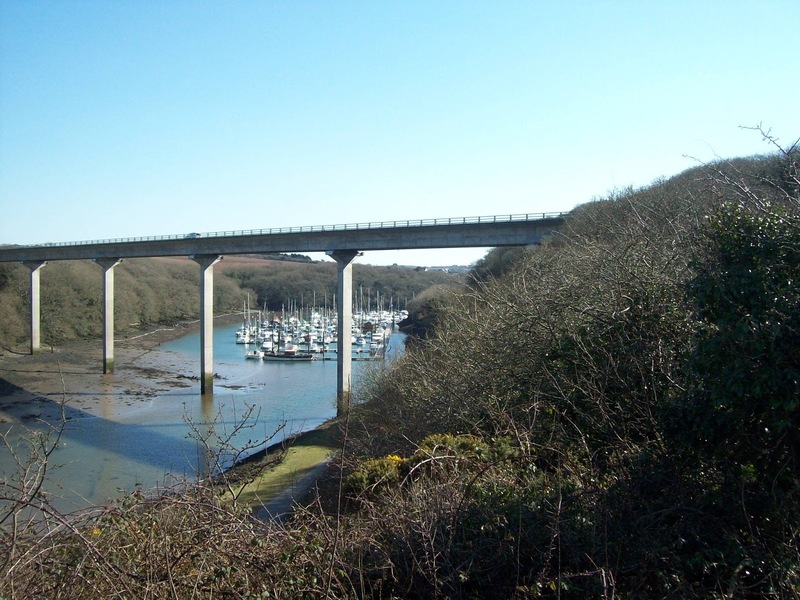 This particular section runs from Neyland to Haverfordwest and is all cycle paths. 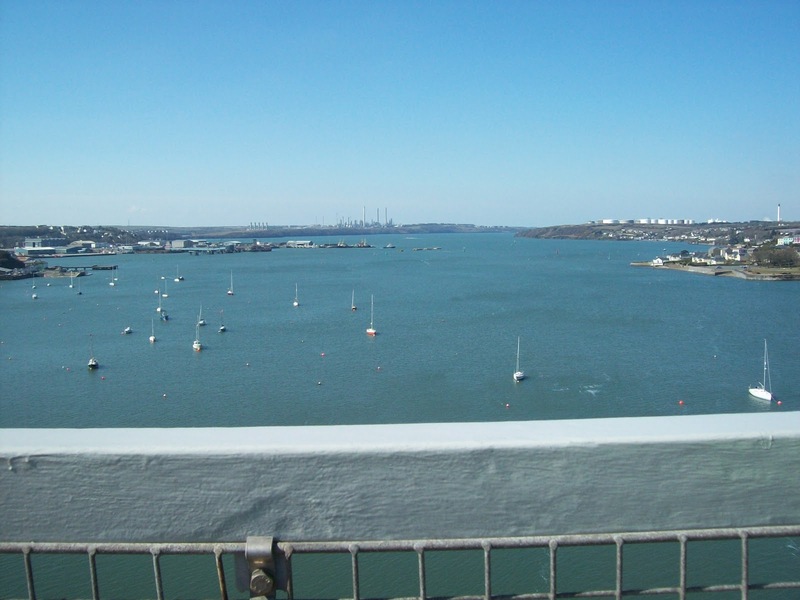 We parked the car at the slipways by Cosheston Point and then cycled over the Cleddau Bridge. There were excellent views up and down the estuary and thankfully the wind was kind. From there we headed down through Neyland to the front on the estuary. 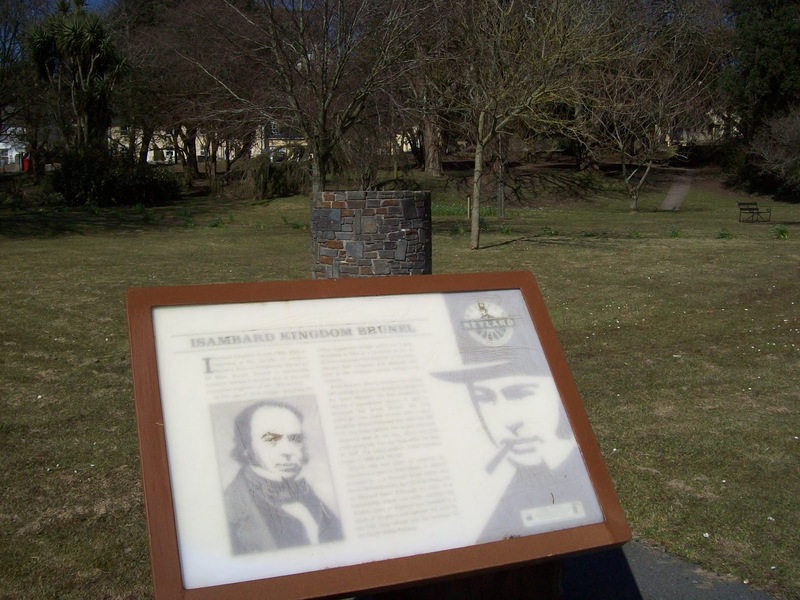 There used to be a statue to Isambard Kingdom Brunel but some tea leaf used a crane and nicked it! We cycled through the marina, stopping for a coffee before joining the cycle path. This is tarmac all the way. 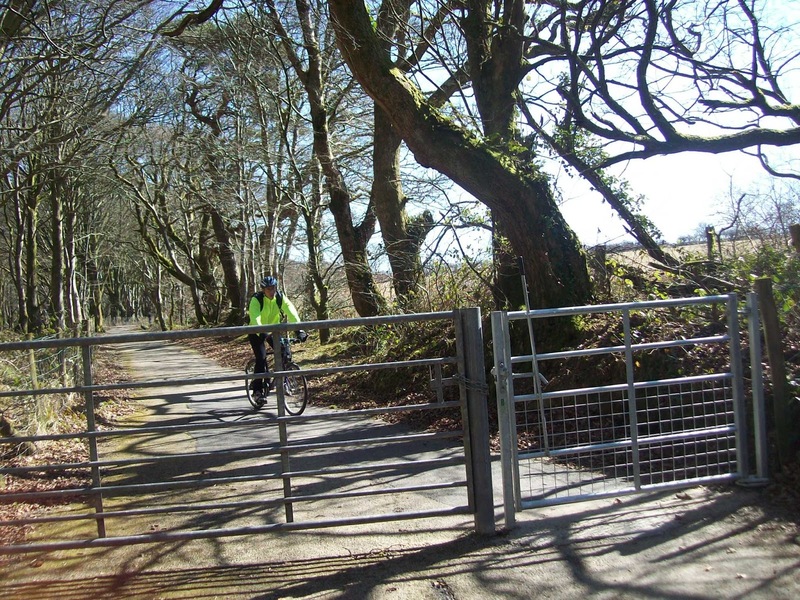 The first road traffic is met not far from Haverfordwest but even then there is a cycle track adjacent to the road. 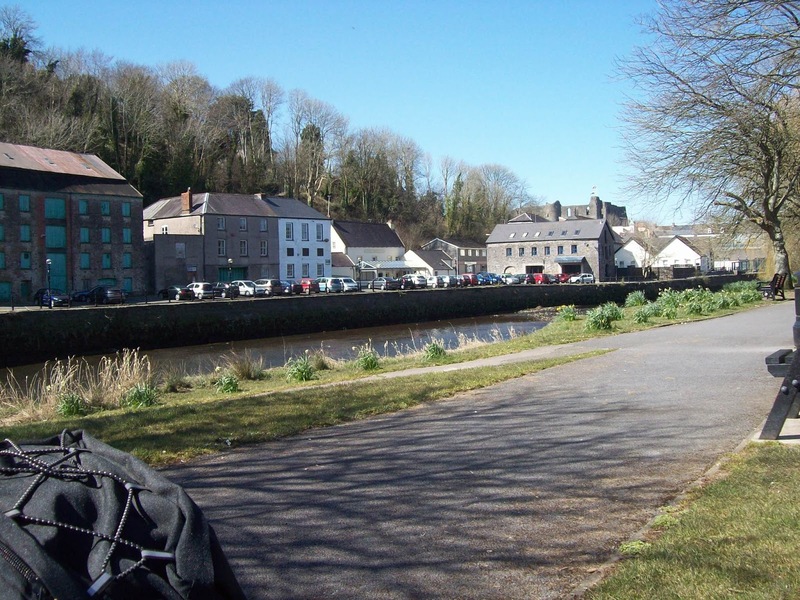 We had lunch in the park overlooking Haverfordwest Quay, next to the Council Offices. Suitably refreshed we set off on the return leg. Now Andy is a lot fitter than me and when hill walking or cycling he goes on ahead and then waits for the plodder. However today off he went at a good speed but that was the last I saw of him. 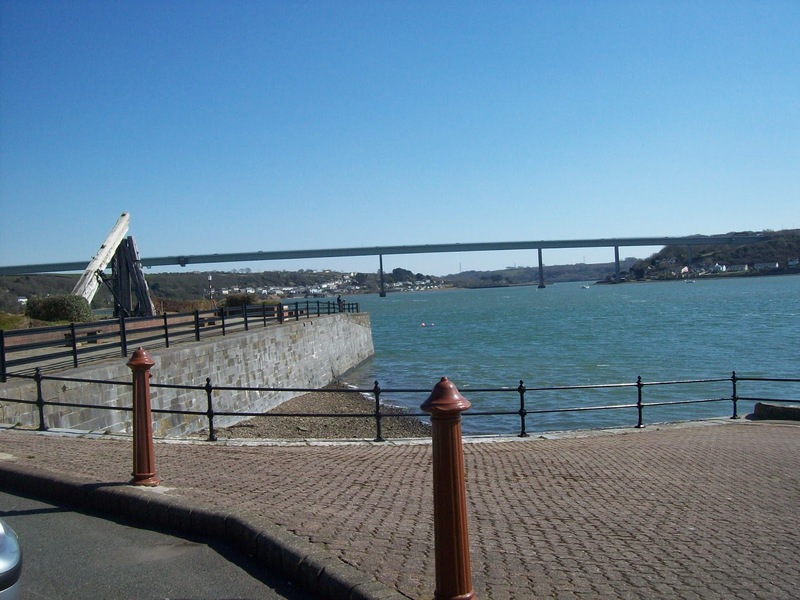 Being the tortoise in this story I saw the turning to take me off the trail and up onto the road and towards the Cleddau bridge. The mobile went with Andy telling me that he had obviously missed the turn and was now back with Isambard by the estuary. I cycled back to the car and Andy turned up a little later. Another bit of nostalgia for me as you covered more of my walk round your boundary. 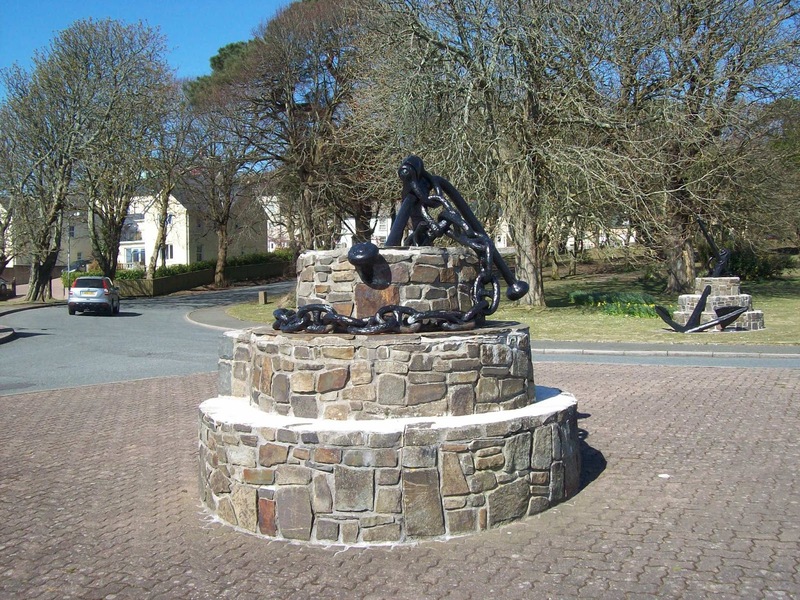 Despite its apparent blot on the landscape, Milford Haven a bit further on had an attraction all of its own.